When reporter Dan Miller is once again late to meet his girl friend, Helen Murdock, because he is working on a story, Helen breaks up with him. Later, in an effort to reconcile with her, Dan misses an appointment with the district attorney, and is fired when his editor learns that the district attorney was murdered in Dan's absence. The man suspected of the crime, Mitts Coster, is rumored to be traveling to Europe aboard an ocean liner. 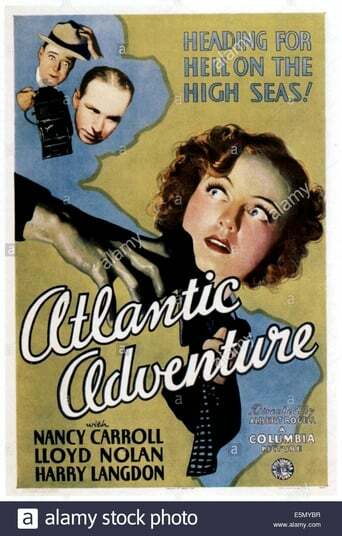 While Dan's friend, photographer Snapper McGillicuddy, fetches Helen to the boat, under the pretense that Dan is leaving town to forget her, Dan searches the ship for Mitts, whom he does not recognize. When Helen arrives, Dan feigns illness, and she admits her love for him. When Helen learns of Dan's ruse, however, she angrily hits him with a package that a passenger gave her when she boarded the ship. The package contains a passport for Dorothy Madden, who greatly resembles Helen, and $2,000 dollars.